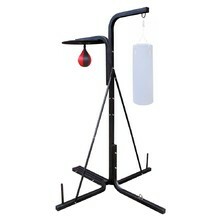 Speed bag is suitable for condition training, reflex training, hit speed training, eye coordination, as well as hit accuracy training. 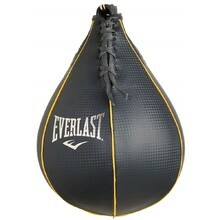 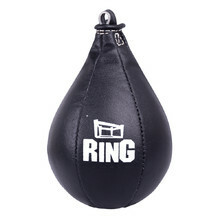 Speed bags are usually made of synthetic or genuine leather filled with an air bag (they are inflated with a pump with needle). 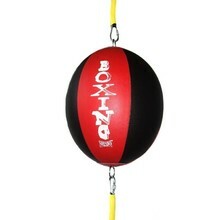 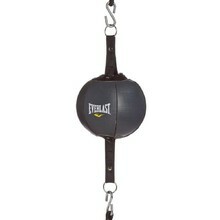 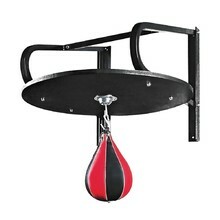 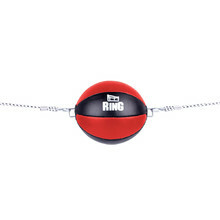 Often, you can encounter a boxing ball suspended on a rubber rope that has nearly attributes essentially identical to those of a speed bag.